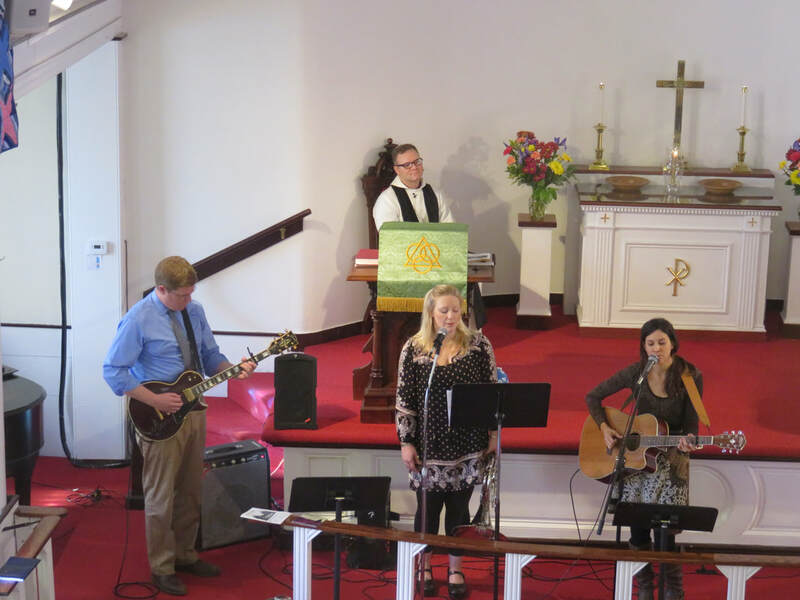 Diverse music during the worship service. Celebrating local artwork by decorating the sanctuary with quilts. A recent New Member Sunday. 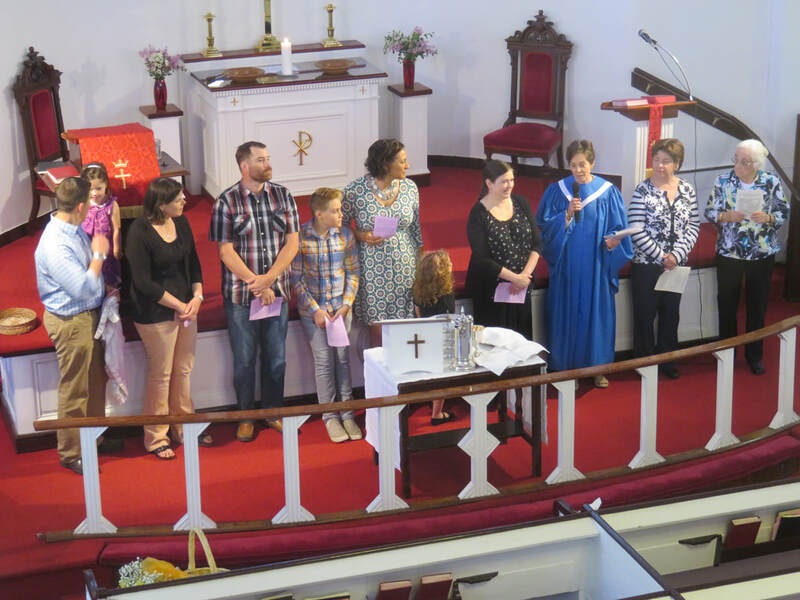 Worship Services are held year-round each Sunday at 10:00am. In our worship services you will find a heart for the work and teachings of Jesus Christ, wonderful music and times for sharing for young people and adults. Before you enter our sanctuary you will greeted by an usher. If you have any questions about how to find the bathrooms or the nursery, please ask them! The usher will also hand you a worship program. This program is like an instruction manual for the service. You can follow the order of service, the parts in bold are when the congregation reads or sings, the places where you see an asterisk is when you stand. Don’t worry about getting it right the first time! There are usually Bibles and Hymnals in the pews but if not, ask a neighbor. Personal Public Address receivers are available for the hard of hearing. Families with Children will find our service accessible for children. Families can choose to stay together for the entire service or children may join the rest of the Sunday School and head down to the Parish Hall for Sunday School after the Children’s Message. After every worship service, there is coffee hour in the Parish Hall. We have been told this is the best coffee hour around!